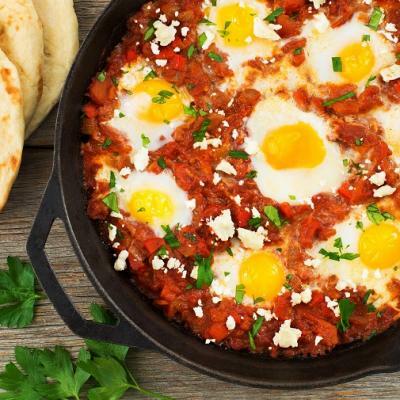 In Hebrew, shakshuka means “all-mixed up”. This green version is a mix up of kale, green onions and fresh herbs. 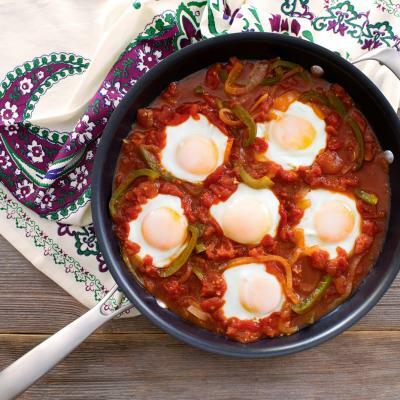 Serve for breakfast, brunch or even a quick dinner. Preheat oven to 400°F (200°C). 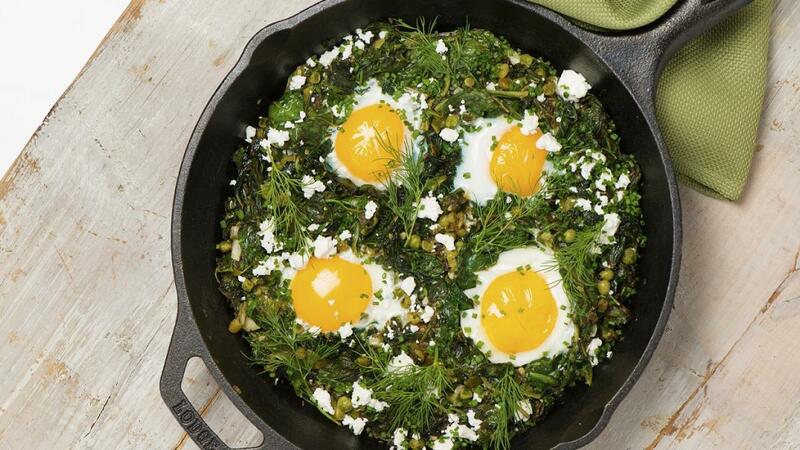 Heat oil in 9-inch (23 cm) cast iron skillet or ovenproof skillet set over medium heat; cook green onion, garlic, coriander, cumin, oregano and pepper flakes for 3 to 5 minutes or until fragrant. Stir in kale, salt and pepper; cook for 5 to 8 minutes or until starts to wilt. Stir in parsley and broth; cook for 3 to 5 minutes or until liquid has almost evaporated. Serve sprinkled with feta, dill and, if using, chili. 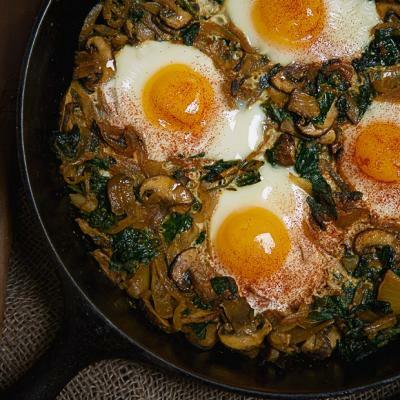 • Substitute spinach for kale. • Serve with warm pita bread or toasted baguette slices.